I’ve been thinking a lot about password security recently. Not because I’m paranoid, but because I’m a geek, and geeks love to optimize their lives. As pointed out in this Wired article, even strong passwords can be insecure, because all an attacker needs is access to your email, and then they can use password recovery systems to get everything else – bank accounts, photos, blogs, you name it. It’s a scary prospect. The inherent vulnerability in most people’s password systems is just that they use the same password everywhere. Which is understandable, because unless you’ve got a superhuman memory, you can’t remember your user name and password for the dozens of sites you use on a regular basis. Hence the convention of providing your email address as your universal login, and using the same password everywhere, which gives an attacker who cracks any rinky-dink site immediate access to your email. And thus, everything. Think about that for a second. When you sign up with, say, the Buffalo Youth Hockey Association, you give them your email and probably the same password to access that email. And then you do the same thing for dozens of other sites. Does that make you feel secure? The Buffalo Youth Hockey Association. No doubt a fine organization, but what about all the other ones? So here’s my method, which I think is a nice compromise between security and convenience. It’s based on Joel Spolsky’s approach, although I use GitHub instead of DropBox. Essentially, I keep a PasswdSafe database file with one strong master password stored in GitHub, and my GitHub account is protected with another strong password. I don’t use either of these two passwords anywhere else, and I haven’t written them down or anything. They only exist in my head. 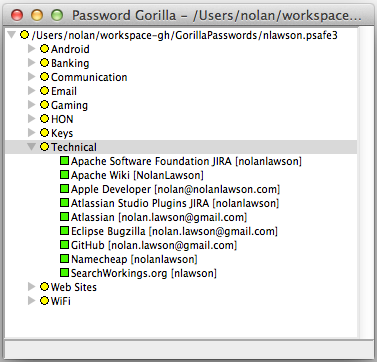 I sync the database file across my Linux laptop, MacBook, and Android phone using Git, and then I use PasswordGorilla and PasswdSafe for Android to read and edit the file. That way I can keep all my devices up to date as I add and change passwords. All of my passwords are in this single file. I use a different password across each of the sites I commonly access (email, shopping, banking, etc. ), and each one is a random 16-character alphanumeric string generated by PasswordGorilla. When I need a password, I just open PasswordGorilla, enter my master password, double-click the password I want to copy, and then paste it into the web site. Of course, this creates a single point of failure, which may seem insecure at first glance. But let’s see what a potential attacker would actually have to do to gain access to these passwords. First off, an attacker would need to get their hands on my database file. And to do this, they’d have to hack into my GitHub account. This is just basic password guessing, and although I’m using what I consider a strong password (based on the “correct horse battery staple” system), let’s assume for the sake of argument that the attacker manages to guess it, and that they manage to guess it before GitHub starts locking them out. Now that they have my database file, they’d have to guess my second, equally strong master password. In this case, they won’t ever be locked out, and since the file is local, they can use whatever hardware they want. So a brute-force attack seems like a good approach. But considering that PasswordGorilla uses key stretching, this means that a brute-force attacker would have to patiently wait one or two seconds to test each password in sequence. And according to HowSecureIsMyPassword, even a weak password like “MyPassword” would take 4 billion years to crack this way (assuming 1 calculation per second). So even if our attacker somehow made it to my second gated entrance, it’s unlikely they would ever get past it. Unfortunately, the blind spot in all this is that there’s a much easier way for an attacker to get my passwords: just get my computer. An attacker doesn’t need access to my GitHub account if the files are already on all my laptops and smartphone. They just need to steal one of those devices. As for the master password, once they have physical access to my computer, they can simply install a keylogger. Then, as soon as I type out my master password in PasswordGorilla, all my secrets are as good as cracked. Permit me to postulate that this second scenario is much more likely than the first. It’s easy, it’s simple, and it doesn’t require much technical knowledge – only physical access to my devices. So in truth, the weakest link in this entire password system is just my devices themselves. Upon realizing this, I took some extra measures to ensure that my laptops and phone were sufficiently secured. For my laptops, it was as easy as choosing a strong password and setting a timeout lock on the screensaver. OS X didn’t do this by default, but Ubuntu did. 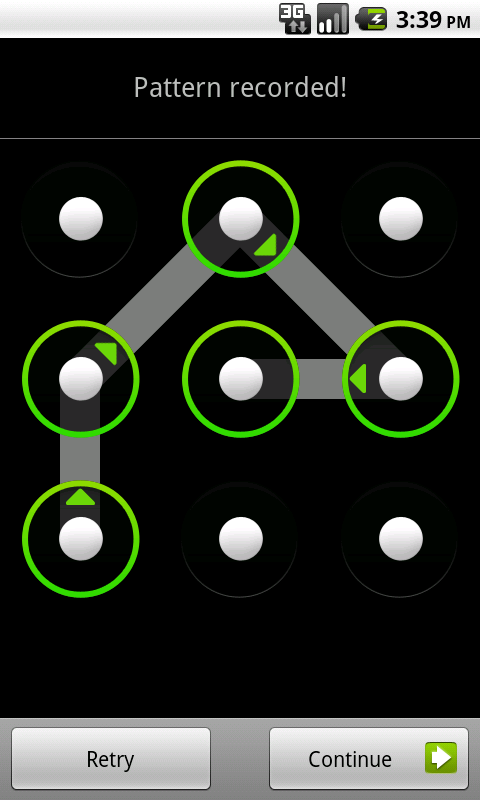 As for my Android phone, I switched from a pattern-based lock screen to a pin-based lock screen. This is because, as we now know, patterns can easily be cracked by just holding a phone up to the light and looking at the smudges. You may think it’s safe, but your oily thumbs betray you. I now use a 6-digit numeric code, with lock-out after 5 tries. At first, it was quite a bit slower than my pattern-based lock screen, but once I got used to it, I could punch in the code almost as fast as before. And now my phone is much more secure. At the end of the day, password security is only as important as the stuff you’re securing. Unlike the author of the Wired article above, I’m a pretty unknown small-time developer, so my WordPress and Twitter accounts are not terribly interesting. And as a fresh-out-of-debt college grad, there’s not a whole lot in my bank accounts, either. So my convoluted security system is protecting a largely empty treasure chest. But passwords are essential to Internet services, and increasingly our lives are lived online in the cloud. In twenty years, I can’t imagine how many hundreds more passwords I’ll have, and what kinds of stuff they’ll be protecting. The habits I build now could really help me out in the future. Plus, I find that my new system is actually easier to use than the old one. 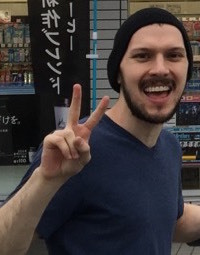 How could I remember whether my user name was “nlawson” or “nolanlawson” or “NolanLawson” on all the forums where I was signed up? I’d inevitably have to try a few different combinations, or use the password recovery system, which took time. Most importantly, now I can sleep soundly knowing that I’ve done the utmost to protect my online identity. Because I would hate to imagine that my account at the Buffalo Youth Hockey Association could ever compromise my account at the bank. Note: sorry to pick on Buffalo hockey fans. You guys are all right.